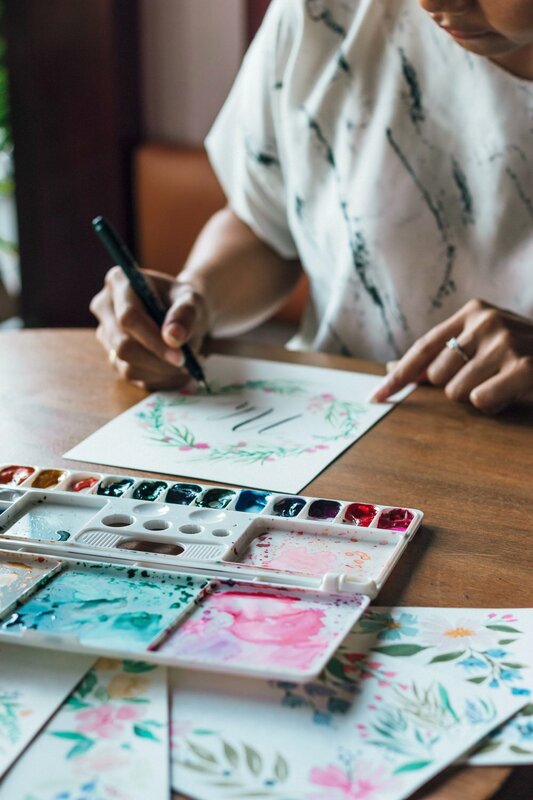 Take the time to focus on you and develop your skills by immersing yourself into the art of watercolors with Nova. Nova is a self-taught hand-lettering & watercolor artist. She loves loose flowers and she loves teaching. Learn the basic techniques of how to use watercolors, what tools and brushes to use and why and how to mix colors and keep your tools clean. This class will be focusing on how to draw loose flowers. This is a great way to de-stress, be mindful, test your patience and discover new skills you didn't even know you had. Connect and meet new people and challenge yourself! All materials and tools included and you get to take home your own watercolor set including 6 colors, brush and 8 sheets of professional watercolor paper - your own little starter kit!